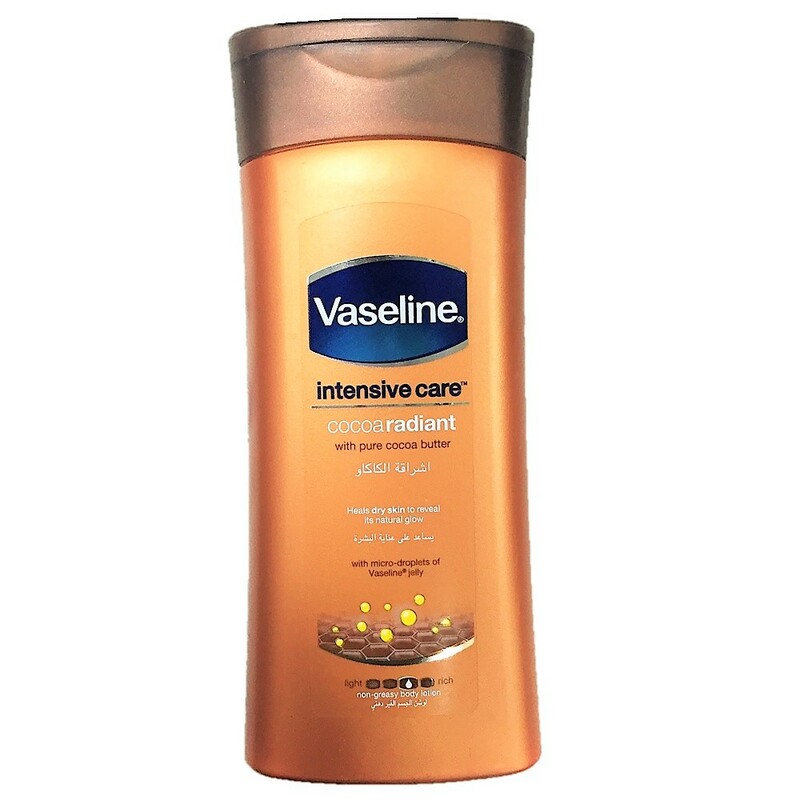 Vaseline Intensive Care Cocoa Radiant Body Lotion is formulated by combining the repairing micro-droplets of Vaseline Petroleum Jelly with powerful moisturizers, and pure cocoa butter, in a rich, fast-absorbing formula. This lotion moisturizes to help repair dry and dull-looking skin, bringing out its natural glow. Moisturizes to help repair dry and dull-looking skin. Apply to the skin as required.